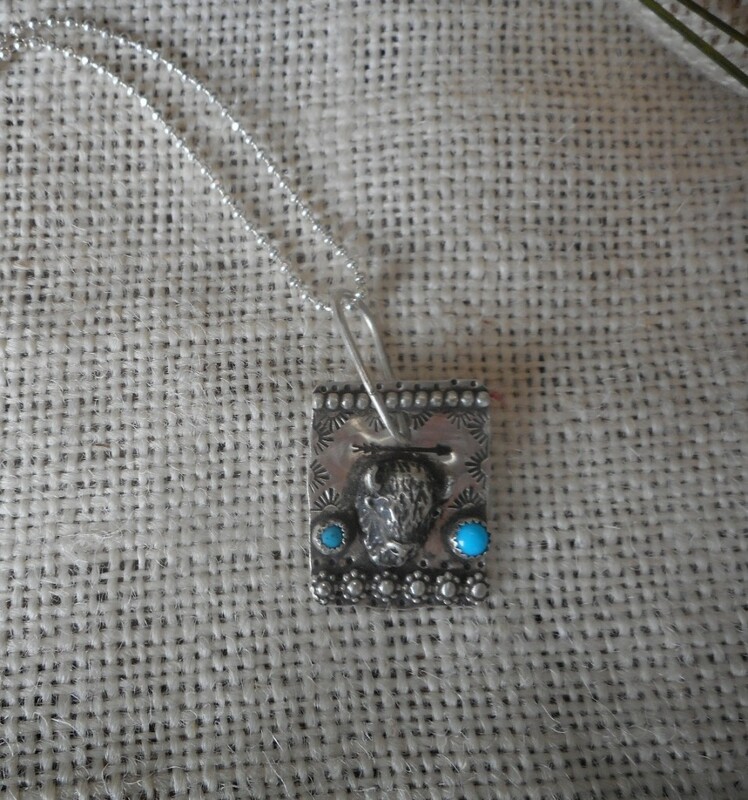 Cute little square pendant featuring a buffalo head surrounded by flowers, dots, stamp work and two cabochons of turquoise. Big hand wrought bail. (chain not included) Any of Margaret's pieces can be re-ordered however, they will not look exactly like the items shown in pictures, as each item is made as a unique work of art. A hand wrought chain can be purchased separately...please look at other items. Size: pendant measures 1 1/8" x 1 "